Ghost Adventures with Zak Bagans and crew were inside Bagan’s Haunted Museum to make paranormal history with the Dybbuk Box on Halloween night. Zak, Aaron Goodwin, Jay Wasley and Billy Tolley filmed a four-hour live investigation for the Travel Channel. Viewers saw Zak and the rest of the Ghost Adventures crew documenting amazing evidence. Josh Gates hosted Halloween’s Haunted Museum experience. Along with Josh, many other special guests appeared throughout the Ghost Adventures investigation. Some of those guests include Dave Schrader. He runs the nerve center. Also on hand were paranormal experts Chris Fleming, Darren Evans, and Patti Negri, known as the White Witch. Zak Bagans also had exorcists on call, as well as an ambulance on site. Priests were on site ready to cleanse the crew upon exiting the museum. On Ghost Adventures Zak felt the ambulance was necessary due to possible side effects caused by some objects such as headaches, nosebleeds, vomiting, and even heart attacks. Aside from the special guests and medical support, Zak Bagans also had more than 75 cameras, Video recorders were ready to capture whatever entities appeared. They boarded up entrances with plywood panels for extra effect. The first stop on the Ghost Adventures lock-down was the oddities room. This room houses the haunted Lily doll who has real hair. Brianna, one of the museum tour guides, has reported seeing a little girl wearing a white dress standing in the room. Zak Bagans speculated this entity could be Lily. Other objects and rooms were also investigated on the live show this week. They included the infamous Dybbuk Box, Peggy the Doll, a creepy mirror and the basement. Along with these terrifying objects, Zak and Chris Fleming planned to enter the evil demon house exhibit during the special on the Travel Channel. Zak Bagans shared prior to entering the museum he is feeling ill and on antibiotics. Because of his sudden illness, remained unsure if he would be able to go through with opening the demonic box. He tried to explain to fans his strange connection to the Dybbuk Box. Upon entering the Dybbuk room Zak vowed to take it one step at a time with no promises. He and Billy carefully removed the glass case surrounding the box. Did Zak Bagans Open The Dybbuck Box on Ghost Adventures? Aaron Goodwin was similarly feeling what Zak was near the Dybbuk Box. He reported feeling very emotional and light headed. Once the glass case surrounding the box was removed, Zak asked Aaron to hold to his hand while he touched the box. Aaron adamantly protested Zak’s request. As Zak was contemplating opening the box, an ambulance was heard driving by. Consequently, Zak asked for a commercial break and referred to the sirens as “divine intervention”. For this reason, the crew left the room for the time being. Finally after much debate and voices saying “Don’t,” Zak decided to leave the demonic box alone. He ordered everyone out a second time and said he was done with the room. Ghost Adventures fan and Haunted Museum guest Jessica Allison shared her tour experience in an interview with Soap Dirt. Jessica said the Dybbuk Box room made her very anxious and wanting to get out. Their group was told that a psychic had said all of the spirits within the museum were afraid of the Dybbuk Box. While in the room Jessica noted that the salt surrounding the box had shifted and believes it was done by the entity within it. Jessica also told us that guests are allowed to leave an offering in the room upon exit. The offering could be anything and was not required. She chose to leave a lucky penny she found that week. Jessica said, “I absolutely 100% believe the Dybbuk Box is real.” She revealed she has not watched the Ghost Adventures investigation yet due to her own experiences and feelings in the room. She admitted to being afraid of what could happen even though it was just on television. Soap DIrt also asked in the interview about Zak not opening the box and Ms Allison said she was glad he didn’t do it. Jessica felt bad things would have happened if Zak had gone through with it. Today may be the craziest day in my life. Or not. What will happen. Anything. I’m sick but will push through. So much goin thru my brain. You dybbuk. Which Room Within The Haunted Museum Affected Guests Most? In our interview with tour guest Jessica Allison, she told us which aspect of the tour terrified her the most. Along with the Dybbuk Box room, Jessica said the room which caused the biggest impact on her was the Demon House exhibit. Once in the room, she said she couldn’t breathe and had to exit quickly. Ms Allison said if she comes back to the museum, she will not go back to the Demon House room. Along with her other experiences, Jessica told us that being in the room with Peggy the Doll was also difficult. She said their guide reminded them to be respectful of Peggy by saying hello and goodbye. Jessica noted that while she was in this room, her chest slightly hurt and she wanted to leave. Upon exiting the museum, Jessica told Soap Dirt she used sage to ensure no dark entities followed her home. While Zak Bagans and the crew did not open the Dybbuck box, there was plenty of evidence for the world to witness. Zak apologized to fans upon exiting the museum and said his health and the health of his crew were far more important than encountering the demon within the box. 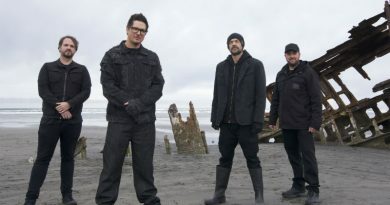 Come back to Soap Dirt soon for more updates and news on Zak and the Ghost Adventures crew and other reality show spoilers. 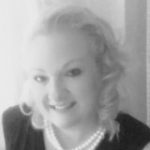 I’m a nurse, writer, wife, and mom of 2 boys. I love reality tv and have been watching The Bachelor franchise and Ghost Adventures for many years.